When the alarm clock goes off on Monday morning you’ve probably pressed the snooze button five times before you even manage to haul yourself out of bed. With the desire to stay in bed so tempting we all want to save as much time as we can on how long it takes to get ready. 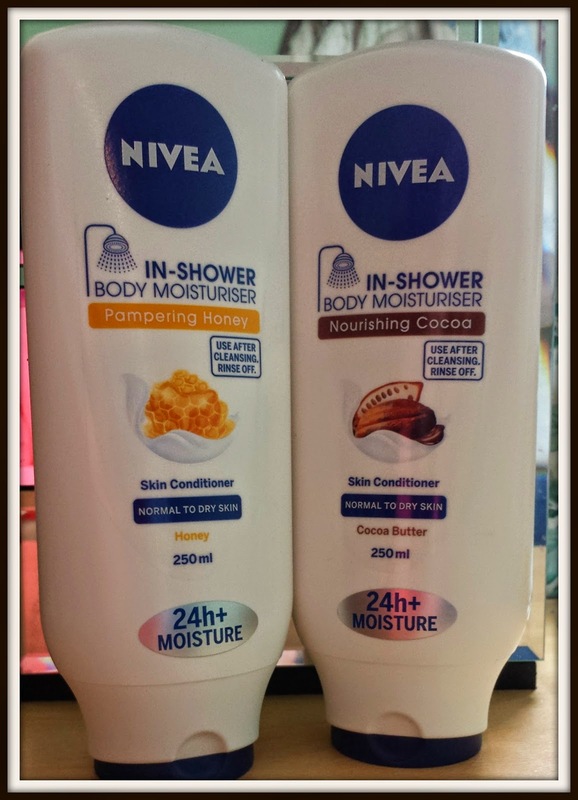 Nivea’s In shower body moisturisers makes early mornings a little more bearable. With so many products on the market it’s hard to decide what product is right for you and what will give you the smoothest skin possible. 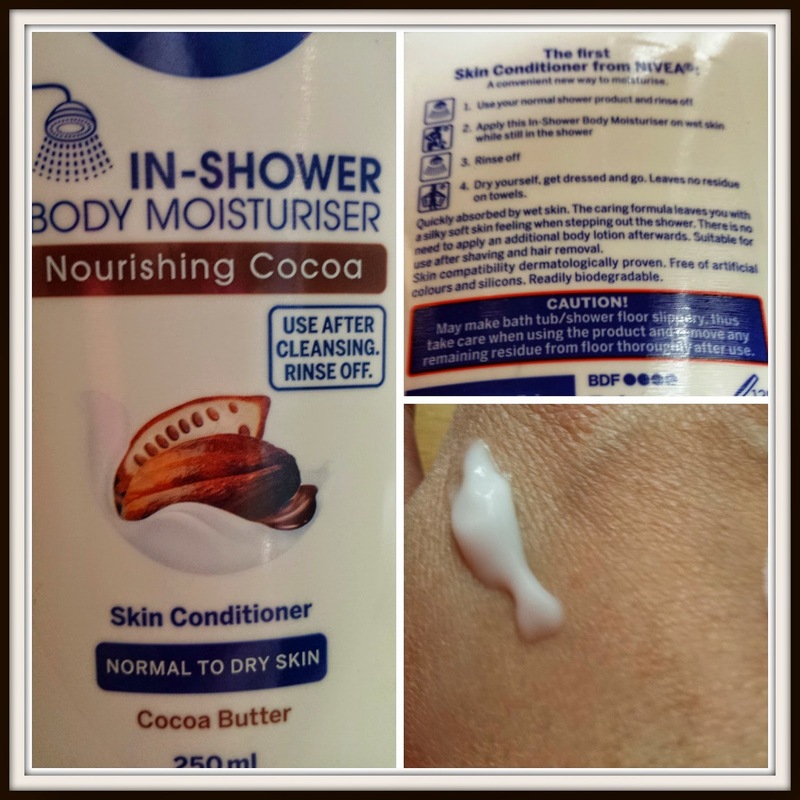 Nivea has propelled the importance of a good routine back into the driving seat with their latest launch of two new indulgent scents from their In Shower body moisturiser collection, Nourishing Coca and Pampering Honey for normal skin. This time saving product allows you to save a massive amount of time in your morning routine by eliminating the need for a separate body moisturiser. With a sensational product award you simply apply, rinse and then dry. Enriched with Cocoa butter the Nourishing Cocoa moisturiser has a number of caring properties including antioxidants. My first impression was that the cocoa butter scent was very weak and it smelt more like a typical moisturisers. 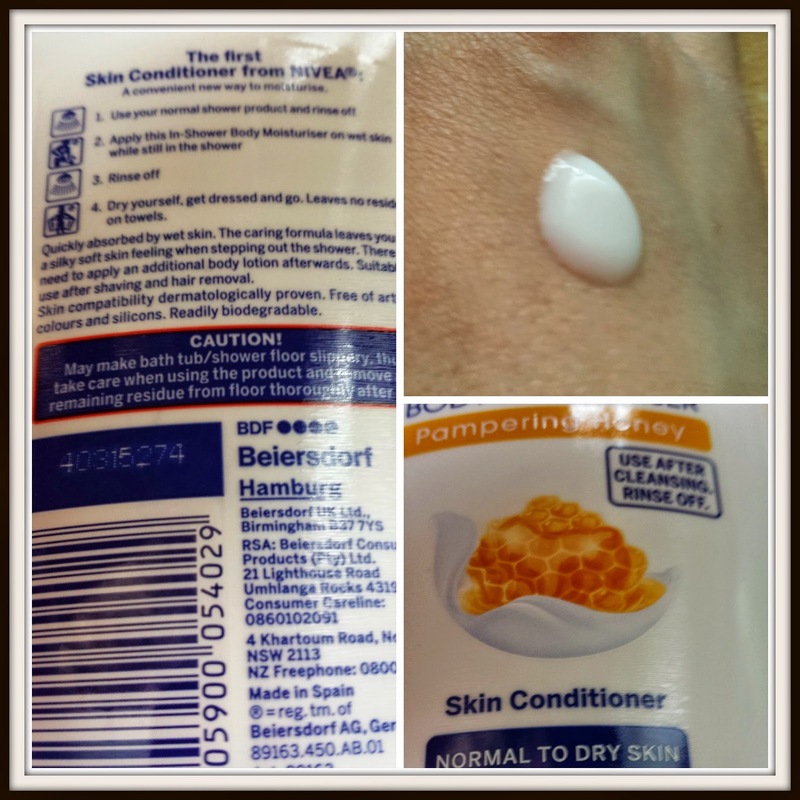 The product had a typical white, creamy consistency and was easy to apply. The Pampering Honey moisturiser smelt very sweet and pleasant with a fragrance that contained undertones of floral blooms, honey sorbet and milk blossom. Again like the Nourishing Coca the consistency was white and creamy and essentially very easy to apply. After use there was no sticky sensation, or residue which you often get after using a body moisturiser and my skin did feel soft, although not baby soft. There was a light aroma left on my skin but nothing too overpowering or noticeable. Nivea In shower moisturisers are perfect for saving time in the morning by reducing the need for a separate moisturiser and saving you those precious five minutes after your bath/shower. Can be used whilst you’re having a bath/shower so saves precious time in the morning – giving you more time to snooze! "Beverly Hills release their latest Perfect White Black toothpaste"
"Wilkinson Sword Intuition saves you money with its 3-in-1 shaving, lathering and moistusrising element"